If You Don’t Have Anything Nice To Say… We have a lot in common. I saw this saying on a shirt recently and it hits the nail on the head. I’ve actually written about 2-3 blog posts a week over the last month, but haven’t posted any of them because there’s not a lot of nice things to say right now. Between the current administration, and things like Fukushima… it becomes difficult to lead a contented life. I think I’ll leave it at that. No need to fuel any more flames in my heart. 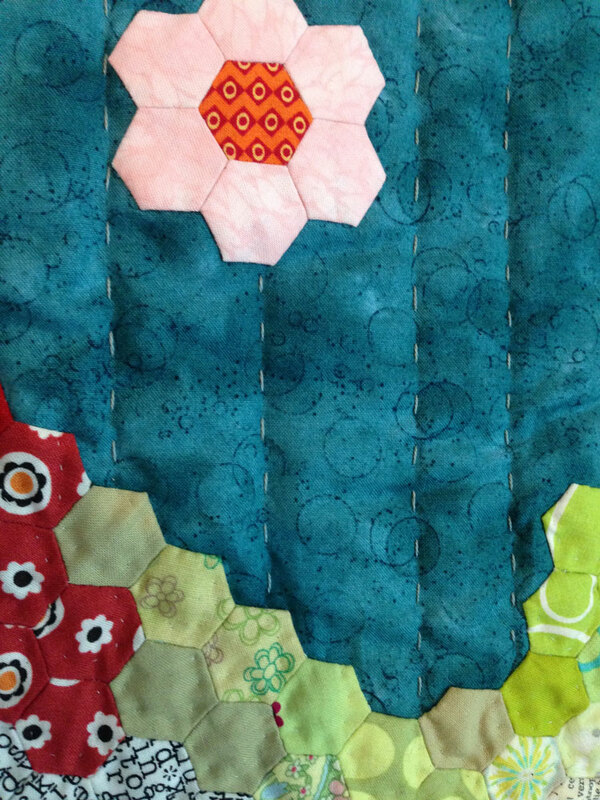 So… I want to get back to quilting! Sewing always makes me feel better. I think it’s because the making of something tangible gives me a little sense of accomplishment. 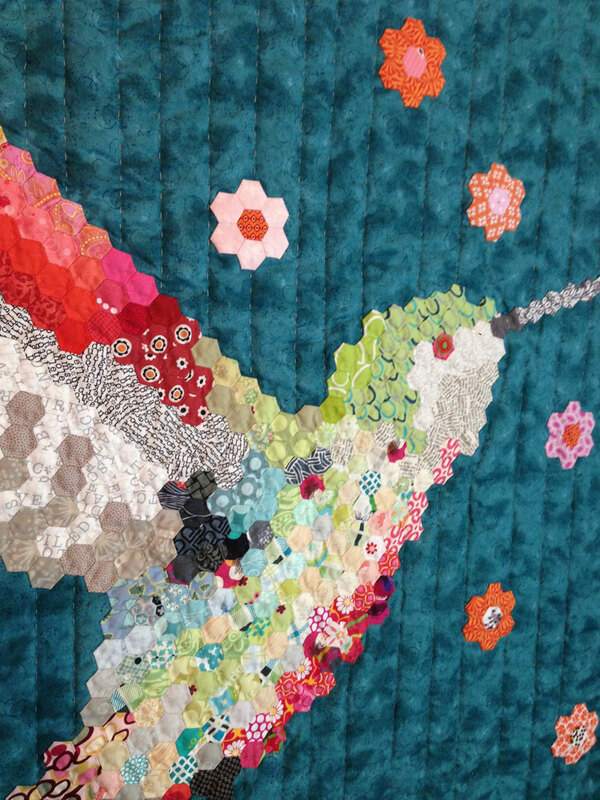 Right now I’m currently hand-quilting Hummingbird No. 2. I quilted the body of the bird with almost invisible silk thread, and I’m using #12 perle cotton thread to stitch vertical lines with larger stitches. I’m really loving how it’s turning out. I want to add at least 3x the amount of lines I already have… and in different blue thread colors. I think I’m just going to put French Knots in the centers of the flowers and leave them alone otherwise. They might puff out a little more once I quilt more lines into the background. This is a slow project. I’m just not motivated to push myself to go fast… partially because I’m not ready to start another project just yet. Close, but not quite. Mostly what I’ve learned is that most of the food-like product being sold to us as edible food, should be questioned. Who knew there were so many ties between lobbyists, the FDA, Monsanto, big Pharma, big Ag, the EPA and our government. I learned that a company like Merck or Monsanto can do all research on their own product, show their findings to EPA or FDA (filled with people who used to work for Merck/Monsanto/Bayer/ etc.) and get the “Okay” to make big profits off us… based on their own findings!! There is no real oversight, and that frightens me. It frightens me because almost everyone I talk to 100% believes the EPA and FDA are legitimate agencies for our benefit, when in reality, they are the stamp of approval needed for larger companies to poison us for profit. Maybe my next quilt needs to be food-related…? I like your juxtaposition of quilting and political research and commentary.